Giovedì 8 dicembre 2011… ImmacolARC! … ma dopo tutto lo shopping in centro del giorno dell’Immacolata non ti verrà un po’ di fame? ARC ti dà la soluzione: ImmacolaARC è l’aperitivo di autofinaziamento, con gli ottimi drink di Franco e Luca del Rainbow Café, le selezioni musicali dei Meka Gone Tea e il ricchissimo buffet! 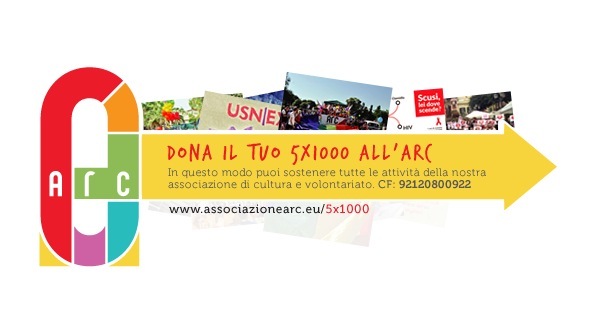 E presso il banchetto dell’ARC potrete fare la nuova tessera associativa 2012 dell’ARC e festeggiare con noi i primi 10 anni di attività! E a partire dalle 22,30 il drag show del Rainbow Café, per questa settimana eccezionalmente di giovedì! Vi aspettiamo: divertitevi e contribuite al fnanziamento dell’ARC, l’unica associazione GLBT di Cagliari! 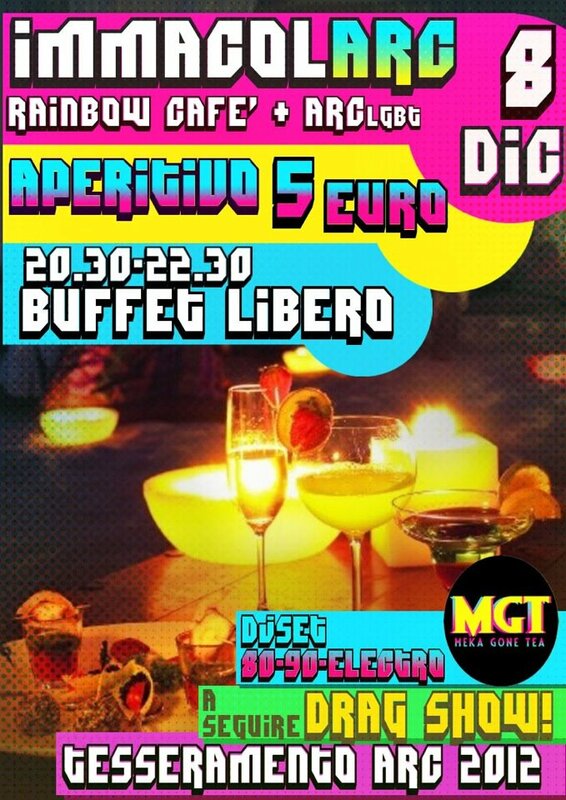 *L’offerta è valida dalle 20 fino alle 22:30 dell’8 dicembre 2011. Its such as you learn my thoughts! You appear to grasp so much about this, like you wrote the ebook in it or soemthing. I feel that you simply could do with some % to pressure the message house a little bit, however other than that, that is fantastic blog. A great read. I’ll definitely be back. I’m with you. Cold? Awesome. Throw a few more logs in the stove. Hot? Not gonna be a problem next time around. Wind? Our rain gutters are specifically calibrated to turn the house into a giant kazoo when the wind gets above a stiff breeze, and spring/fall in the mountains bring plenty of wind well above that point, compounded by being on a canyon rim.Every time I think I’ve got the problem taken care of, we just get a new note from a different section. Maybe I can tune the house to play Ride of the Valkyries or something. haha funny interview, your the man kev! it doesnt matter if you compete again or not, you put in your work paid your dues and don’t owe it to anyone to step on stage again. one of the greatest! I was actually asked not to take photos so I snuck most of them. It was worth it to show everyone. The townhouse is sooo amazing. I wanted to buy everything but unfortunately most everything was very expensive. It’s worth the trip!